Size of this PNG preview of this SVG file: 422 × 422 pixels. Other resolutions: 240 × 240 pixels | 480 × 480 pixels | 600 × 600 pixels | 768 × 768 pixels | 1,024 × 1,024 pixels. 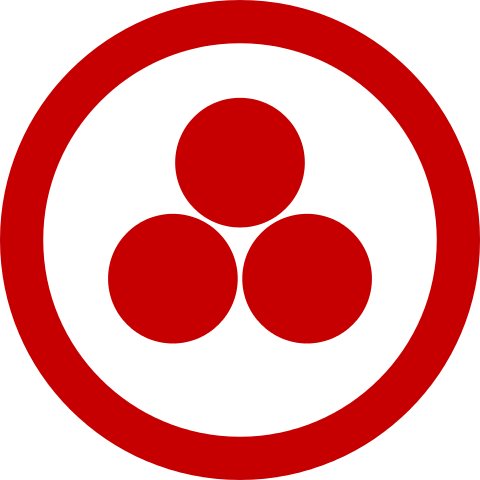 English: The Banner of Peace, (Pax Cultura), as defined by the Roerich Pact of 1935, for the protection of cultural property during armed conflicts. While the Roerich Pact was superseded by the Hague Convention for the Protection of Cultural Property in the Event of Armed Conflict of 1954, it is still in force today. The Hague Convention introduced a new Distinctive emblem for cultural property.svg or Distinctive emblem for cultural property under special protection.svg which replaced the 'Banner of Peace' emblem.